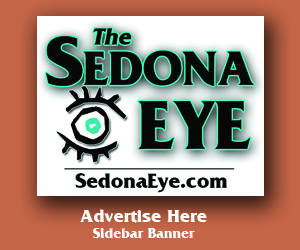 SedonaEye.com columnist Eddie S. Maddock looks at Sedona’s year ahead in the light of its problematic past. Sedona AZ – Welcome to Sedona Arizona 2019. Has our Golden Goose been cooked? 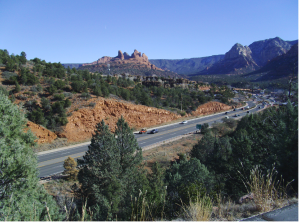 Is there anyone visiting Sedona or living here for that matter, let’s say since Thanksgiving 2018, who isn’t convinced there is a huge traffic problem? As the situation grows worse on a daily basis ongoing studies have been procured from professional consultants – most of whom are costly and ineffective – if for no other reason than they have yet to result in actually addressing the problem. The root of the matter is never appropriately acknowledged by the culprits behind the continual onslaught to chop Sedona, the aforementioned Golden Goose, into teeny tiny pieces. Translated: Sedona was discovered a long time ago and is no longer in need of being promoted. Even efforts for alleged “destination tourists” haven’t been proven to be effective. Quite possibly the introduction of short term rentals via private property owners and Airbnb are contributing factors to this problematic situation which should have been addressed with serious intent to at least some degree a long time ago. 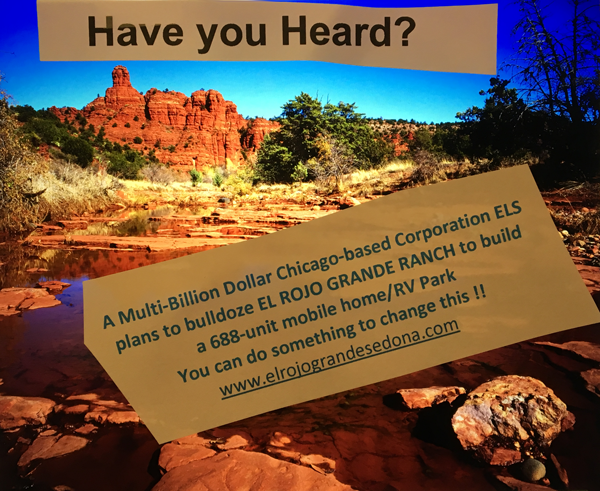 Instead Sedona planners forge ahead with one idea after another clearly without looking at or anticipating suggested plans might be seriously flawed. While the term sustainability has become a common catchword, the word feasibility all too often is overlooked prior to initiating “perceived” solutions. For example; inflated foot traffic in the narrow ADOT corridor of SR179 in front of Tlaquepaque was ignored at the time approval was given to Tlaquepaque North across that very busy section of a State Highway. After the fact, the result has been a disaster. So what to do? Number one suggestion on the drawing board seems to be a concept for some sort of a pedestrian overpass. Voila! Problem solved. Wait, not so fast. Has any consideration been given to the fact that said overpass must span SR 179, a state route? Just how high must a cute little footbridge be in order to clear traffic such as semi-trucks and 18-wheelers for which state routes are designed? Maybe an indication might be more clearly imagined if one were to think about overpasses on I-17. Another potential solution to mitigate traffic congestion, created essentially due to lack of foresight, is the extension of Forest Road uptown to connect with West 89A someplace next to the Post Office location. This concept appears to be a wonderful idea on the surface, but has the depth of this proposal been extensively considered? Now that becomes extremely interesting when viewing the terrain in actuality, as well as on maps. The two photos offered here were taken December 30, 2018, on SR89A across from the vacant land just west of the Post Office, a portion of which has posted a For Sale sign. Clearly it is rugged and anticipating any portion being used as a connector from Forest Road uptown to SR89A becomes somewhat unclear. It appropriately should be noted the open space beyond the Hyatt and custom-built homes at the end of Forest Road is comparable terrain – hilly, rocky, and steep. From the Post Office hill to Mariposa Restaurant is rocky, but relatively level with or below SR89A. Not to be overlooked is a portion of that land belongs to the U.S. Forest Service. It isn’t difficult to observe – with a quick glance to the left when driving east on 89A towards uptown – prior to the Brewer and Y roundabouts. As previously mentioned, there are several upscale homes at the end of Forest Road, clearly sustaining their value because they are constructed on “view” lots. The city has gone on record admitting that to extend this proposed road would necessitate condemning some of those houses. However, what they haven’t addressed is the steep, rocky terrain. Even a non-engineer might question the complex construction required for a connector road in this location which should realistically be seriously addressed prior to pursuing this alleged “short cut” from Point A (Forest Road) to Point B (West 89A). Where will all the remaining red rocks go? To parking lots and highways and tourists now going and many long time gone. There are a multitude of unanswered questions pertaining to acquisition of land and related expenses, over and above feasibility for extending Forest Road to connect down and across extremely rocky, unlevel open terrain. Shouldn’t we insist on accurate and transparent accountability prior to, during, and at completion of this endeavor should it come to pass? And, more specifically, what will be the source of funding? Likewise, shouldn’t more extensive consideration apply to accommodating additional traffic which surely will become further problematic at the Schnebly Hill roundabout if aggressive approval for multi-housing and additional shops comes to fruition as proposed in order to justify the designation of another Community Focus Area? Another suggestion for constructing an additional bridge from Schnebly Hill Road to the northern portion of uptown to connect to 89A onward to Oak Creek Canyon will, in all probability, require trespassing on USFS property. Has any consideration been given to that by city planners if plans are pursued to extend Schnebly Hill Road as an alternate route to I-17… also USFS land. A final question: Which should come first feasibility or sustainability? The answer will emerge from the inner sanctum of City Hall. YOU tryed to form a club but nobody wanted to join..
Dis incorporation is possible. It would end all the waste. Look a the village and lower Red Rock Loop, no worse than Sedona city limits with far less cost. All having a city does is support special interests. Shut the City Down !!! You really like to spread fake news, don’t you? The VOC is no worse, really?????? 3 story hotels, yes a second one is on the way! We’re finding that the County only wants their county property tax so they don’t listen to anyone. The city has no property tax so that equals to one less reason for them to allow. Lower Red Rock Loop road is a residental area of the county so there’s not much the county can damage. However, let’s look across to the other side of 89a over 600 trailers going up AND YOU THINK THAT THEY’RE BETTER OFF?????!!!!!????? YOU’RE OFF YOUR ROCKER! 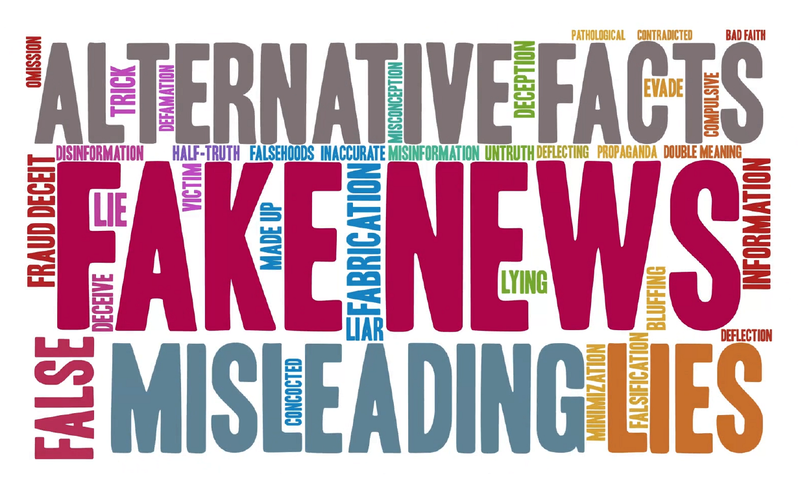 A club with the Soy Boy liars of the Sedona Red Rock Fake news ? A club with Snidely Whiplash? A club with Steve segner? No thanks, I’ll pass. But I refuse to financially support it. Who wants to be in a club that goes down the easy road of income? Those that have no integrity and can’t make their own income? Schmoozing the old people they got on city council isn’t something to be proud of. Watching a CC meeting is barf city filled with fake numbers, info, news and schmoozing. Faking and boring the public to get more $edona money. Ego City reports from used car salesmans sums it up. If they were such great businessmen they’d earn their money by supplying quality product & services to their own customers. The LLL club IMO consist of suckners and takers. Not the city’s job to play favorites and pay for tourism advertising. Quality of product and services would nail the repeat customers rather than the day trippers. Schmoozing is easy when you are handed $2.5 million a year. That buys you alot of (deleted by editor) kissers to help you and a hell of alot of self ego promotions. Buying love and paying (deleted by editor) is nothing to be proud of. The city has no property tax? A tax free zone really ? What you mean is there is no CITY property tax, I get a hefty property tax bill that covers the school district and the Sedona fire district.. The big plus of living in the city is you get to pay an extra 3 1/2 percent sales tax. That adds up, on everything you buy and your utilities. Plus you have to buy a permit for your sign, garage sale and every other thing they can nickel and dime you on. I own a tourist business and recently bought 40 Acres in Montana. I plan on selling my business and moving out of this tourist trap. I’ll take my money and run. As to you stupid residents that believed the lies of the library and Humane Society closing, stupid should hurt. Apparently NO one cares or cares what you think… BTW that editorial in the RRN you keep crying about was spot on…. That ain’t why you lost… if you want to know why you lost look in the mirror…your in complete delusion. They see imaginary enemies everywhere. Guilt does that. They should just do the right thing, don’t steal, don’t be greedy. Do a fair days work for a fair days pay. Don’t lie. Then they would not have to worry that everyone was out to get them. Karma is real and you will be rewarded for good and punished for evil . Both the Unified School District and Fire District property taxes are unrelated to City of Sedona except that incorporated Sedona is located within both districts. The school and fire districts both existed long before Sedona incorporated and included the expanded areas of VOC, RR Crossing, and RR loop areas as they continue at this time. Incorporated Sedona, so far, does NOT assess a city property tax. Implementation of a property tax would require voter approval. Repeat: Property taxes to which you refer are assessments from the county in which you live: Coconino or Yavapai. Thanks Eddie, for reporting the facts! Delusional much? I did not see any mention of a RRN editorial, not that anyone reads that paper anyway. If as you say no one cares what an anonymous poster thinks, why are you so venomously responding to them? Obviously you care and it scares you by your shrill tone. I’ve never been in fear of losing a job as I always provided a service above and beyond what was expected. Quite the contrary, the people I worked for always insisted I not quit. From what I can tell you fear exposure and loss of income due to your taking money for a service you either provide poorly or do not provide. For those who remain unaware, incorporated Sedona does NOT include the same boundaries as the School & Fire DISTRICTS, the following link might be helpful for clarification. In summary, the City of Sedona does NOT have or maintain authority over either fire or school “districts” as is more commonly the situation in other municipalities. This is the reason there’s a broader voting base for both “districts” than incorporated Sedona where voters on elections such as City Council, Mayor, and specific CITY measures are confined within City Limits. Election of board members to the School & Fire Districts as well as pertinent bond approvals for school or fire districts obviously encompass the broader base. For those that remain unaware, there is no real need for a City of Sedona, as the School & Fire DISTRICTS, Highway 89A and Highway 179 are not a part of the responsibility of the City of Sedona. Incorporated Sedona, so far, does NOT assess a city property tax. Implementation of a property tax would require voter approval. The parasites like the Chamber, Lodging Council and City staff all threaten a city property tax to scare residents. You can tell how well the city is doing by the condition of the roads in your subdivision. The chamber however loves the $2.5 million per year, and city staff enjoys working only 180 days a year. Hey thanks for posting that old Sedona web link. @@more facts to ponder. Why oh why would you waste your precious time reading the same old tripe except to have more to gripe about? Go march with the women who want equality and who love not only showing their cleavage but now take pleasure in chest thumping as they demand laws for equality. More double meaning messages just like your comment. good grief, heard somebody in Sedona wants to do something like soup kitchens and relief funds for shut down government workers, seriously??? You guys need to take civics!! Government workers get paid in arrears every 2 weeks or 4 weeks (their choice in some departments) so they still get checks and they get sick and vacation leave that they can use. My government friend in phoenix headed to Vegas with a group and a few others went on short cruises. Get a grip folks. Hardly anyone is affected by this shutdown. And government workers get paid holidays. And everybody will get all they are due to be paid when they return to work. Sheesh. 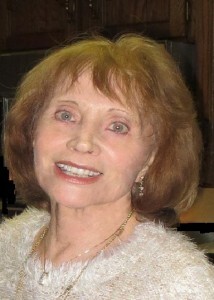 Well @Barbara my guess is since the chamber of commerce now has that 8 year no bid contract (courtesy the city manager) and at around 2-1/2 million $$$$$ a year, they will have plenty to play (and finance) homeless and unemployed in Sedona – take care of all bleeding hearts. Big-time generosity – ask the USFS and other agencies who are sharing in the great Sedona giveaway of bed taxes. No accountability there – No Sir (Maam) – and plenty to go around. Dazzling lights in the forest to terrorize wild life too. But as for funding new roads (subject of above article) watch for more tax increases and/or special improvement districts. All for the Chamber of Commerce,nothing for residents. Sedona City’s gift (return on crappy investment) is Sanctuary City as those in charge vacation in exotic isles with questionable funding. Thanks Sedona City Manager. You’re really a peachy guy all right! Nothing says upscale neighborhood more than a Sanctuary City, soup kitchen and homeless housing. If the idiots in charge want to draw more homeless and panhandlers to Sedona, that will do the job. Lots of homeless and bumper to bumper traffic will drive property values to zero. @Julia Jones thx for saying it like it is and speaking facts vs. fiction. And to think the dummies that voted for incorporation actually believed the result would be just the opposite of the real deal. What fools! Homeless shelters and food kitchens should be where the needy and homeless and in urban areas with transportation and jobs. Our food banks can’t give away the food donated. Ask and learn. What’s the big deal if they live pay check to pay check… If they miss a pay check or two so be it!!! If this shutdown causes hardship for them …so be it. I’m ok though…..that’s the important thing. More about the giveaway of bed taxes. The Sedona Chamber of Commerce and Tourism Bureau has donated $2,500+ of their $2.3M “slush fund” from the City of Sedona to the upcoming Sedona VegFest 2019. $2500 to the VegFest – trivial amount when dealing with millions of $$$$. Thx to city manager for extending the no-bid farce of the city/chamber contract to 8 years. Any bets he’ll be long gone from Sedona by then but C of C will still rule the roost unless we get some legit voters who will bite the bullet, not acquiesce to bogus scare tactics, and vote in NEW blood to City Council. Otherwise, quit complaining. One day the bubble will burst. Let’s hope it’s sooner than later. In the meantime keep your tabs on the progress of the extension of Forest Road to State Highway (W89A). That’s sure to pack a wallop. BOOM! says the dyno-mite as it takes down the hillside. To John Wilson, I would like to know where YOU live that you feel the need to opine on the Forest Road extension? I believe that it’s rather interesting how much misinformation is being pushed about this extension and much of it is by one of my nosey neighbors. This neighbor told everyone that she spoke with all of the neighbors in Uptown who said that there was no interest. THAT WAS NOT TRUE proven by the city survey where 80% said that we would use a Forest Road. I find it interesting that this same woman thinks that she speaks for all of us when in fact, NO ONE WANTS TO SPEAK WITH HER because of her history of telling tall stories as fact. Let us remember the debacle of the New Years snowstorm where there was total gridlock. Having the Forest Road bypass would have helped a lot. FYI it was reported the main cause of the snow storm gridlock was because the city didn’t have the equipment (snow plows) to handle it! They are presently rigging two maintenance trucks instead of contracting with Brewer Brothers as they used to do, professionals who came to the rescue during such emergencies. ADOT wasn’t available because their equipment was already being used on I-17, SR260 and elsewhere. Another example of “way-to-go” Sedona. Forget planning for emergencies but give away the money to the C of C to in turn give to non-profits i.e. VegFest. Don’t you wish Sedona that you were like that? But you’re not because the Democrats that run your Sedona never saw another American’s wallet they didn’t covet and another American’s freedom they couldn’t bastardize. At the city council meeting when the extension of Forest Road was discussed, most people there spoke AGAINST it @Smith Road Resident. And not just those who stand to lose their homes either. Members of the Hyatt who enjoy tennis and other amenities were also opposed and the arguments were valid and sincere. 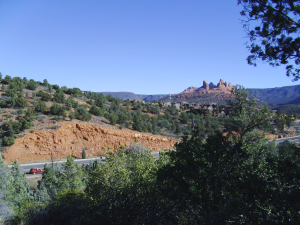 While traffic going to West Sedona might be accommodated cars traveling east on SR89A and then to the north and south will not be relieved by any extension of Forest Road. As someone else mentioned, feasibility doesn’t appear to be justified. Condemn our homes?????? Ruin our quality of life???? So some (deleted by editor) can save a few minutes while the rest of us suffer and the remainder are stuck in traffic regardless????? City Council, you better get city staff back in check now. This ridiculous (deleted by editor) idea floated from some (deleted by editor) brain fart. Rein yourselves in. to the person who spoke about the Hyatt and how it’s opposed, perhaps you missed how the president of the board told the council that he is not against the idea and is interested in seeing the proposal. The homeless housing should be located in the Ash Fork area, where they could use a few more hardy souls. Meantime, Sedona is destined for libtards n’ shops. More city council/chamber of commerce shenanigans? They are allowed to meet in private for six hours to decide what? Only those attending know the answer to that but for sure the event smells to high heaven and what happened to transparency? Of course they are only discussing (allegedly) how to spend that $2 million plus annually they get from city bed tax, no competitive bidding allowed on this devious contract either. Where the heck is the State Attorney General on this investigation that’s supposedly ongoing? What happened to the Open Meeting Law? Where’s our representation on this issues Rep. Thorpe and Sen. Allen? Sedona clearly appears to be operating under questionable circumstances and why are they allowed to do this? Gift upon gift upon gift. They have no time to spend or worry about blasting away red rocks for road extensions that don’t make sense. They are too busy trying to justify the great giveaway to the Chamber of Commerce. OMG where’s the justice? SIX HOURS FOR A PRIVATE MEETING RELATING TO PUBLIC ISSUES AND PUBLIC FUNDING (BED TAX REBATE)!!!! FACT NOT FICTION FOLKS. Wm. meeting was noticed….. you could have gone to it ,Wm.D. do you home work before you post. And how would you and your cronies feel about funding a Special Improvement District in order to pay for that short little uncomplicated connection? Also it would be interesting how ya’ll intend to get back to your little Heaven on Earth Smith Road FROM 89A unless you also figure out how that to make that sweet little improvement from W89A to Forest Road a two way street? HUH? It’s brilliant folks like you who seem to have tremendous influence with the powers at City Hall like the real brains running the joint who now have two locations thanks to the generosity of the city planners. You know who they are, the Chamber. Yup it’s pretty amazing. The Sedona government apparently can no longer afford to contract with Brewer Bros to plow our roads during a snow storm and yet they throw millions of $$$$ @ a regional chamber of commerce that’s obligated to promote their membership outside Sedona. Seems like deliberately shirking health, safety & welfare, including during inclement weather, should be reason enough for the State AG to come down hard on Sedona for misappropriating tax money, but that just another guy’s opinion – yours truly and a Sedona resident – but not for long. We’ve had it as have so many of our neighbors who already moved out of here. Your post is so so overblown and boarderline hilarious. Your so cute when you get your blood pressure up over a non story/issue. Please take care of yourself ole timer. Funny what you said about where the homeless housing should be located..
That Forest road extension talked about here sounds like s fantastic idea. I’d use it all the time(when needed) for my frequent trips up to Flag and back.. Get on I City Council..
OMG what a load of (deleted by editor)!! Were your feelings hurt because you don’t read the RRN or check out the bulletin board at the PO or (here’s a unique idea) check the city website for PUBLIC NOTICES!!!! I’ll leave it up to you to figure out how to get all of the meeting minutes and files. After all, I don’t want to overtax your brain. SE Publisher, why oh why don’t you fact check for the times that certain posters fail to take their medication. Look at the picture of the meeting and explain how the room was set up to accommodate the public in general? Event was at Arroyo Roble Hotel. Of course they were smart enough to publish the notice and cover their tails. They have an attorney on board? Doesn’t change anything tho. At least its been made public about the AG investigation. This was a council retreat, not a public meeting. They never stop lying and diversions. Why was the meeting not held in Council Chambers? Ya know, the one with all the cameras we pay so much for ? Why oh why don’t you fact check your comments, oh yeah, you like to throw poop at a wall to see what sticks. For those who are uninformed in town, Brewer Bros is OUT OF BUSINESS and has been for 6 years hence why our city can’t contract with them like they used to. I know because I used to be one of the plow drivers and had to retire when Brewer closed down. So rather than an Open meeting, we have a “Council Retreat”, at a hotel, and then rather than video, we get audio only, so it is hard to keep track of who is speaking.